Back in October of 2015, we approached our advisory board and asked if there was a topic worth gathering a group of leading vendor CEOs and provider executives to discuss. They immediately asked for a discussion on population health. This was much to my chagrin, knowing the complexity of the topic. But, in spite of those complexities, the 2016 Keystone Summit on population health convened on a crisp autumn morning in September. Interestingly enough, those providers asking for a summit on population health wanted more than anything to develop a definition of what population health actually means. Nearly every vendor, hospital, and IDN has their own definition, making it nearly impossible to compare tools in a constructive way. A solid definition had to be reached. But how do you pick which vendors to invite to a summit on pop health? Based on HIMSS 2016, every vendor in the industry seems to have a hand in population health management (PHM). Invitations were easy last year — our Keystone Summit targeted interoperability, and so knowing the vendors to invite to that summit was simple. Thirteen major EMR vendors were invited, and all but one attended. With population health, it wasn’t so simple. But in the end, we decided to focus on those 20 vendors that we felt would have the biggest impact on PHM throughout the next 5 years. We invited the CEOs of 22 vendor companies, along with their population health expert. In addition, 35 passionate provider executives attended from around the world (including from Saudi Arabia, the UK, Australia, and Singapore). We were incredibly pleased that 19 CEOs of vendor companies and consultant firms also committed the time and resources to participate. 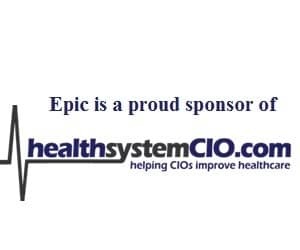 Big vendors like IBM and Optum; enterprise EMR vendors like Cerner; Epic and athenahealth, focused population health vendors like Enli, Advisory Board, and Wellcentive; and less well-known vendors like Forward Health and Conifer Health Solutions were all in attendance. Perhaps unsurprisingly, a major concern among many of the CEOs was not wanting to share their population health strategy with their competitors. However, at our Keystone Summit, attendees took off their regular-job hats and came together to work for a truly neutral framework — one that didn’t favor one vendor over another. A framework the market could use to effectively define and measure population health. Amazingly, as we walked out of that day-long summit, we agreed as a group to six basic pillars of population health and to the general metrics that would support those pillars. The burden is now on us at KLAS to effectively measure the vendors and see who can successfully deliver in the world of PHM. This article is only the beginning; for the next few weeks, several of my colleagues at KLAS will post their own experiences from and perspectives on the conference. Be sure to check back in for their unique insights into the Keystone Summit White Paper. Adam Gale is president of KLAS Enterprises. For more information about KLAS, click here. To follow KLAS on Twitter, click here.